“Hamo-zushi” is an essential food during Gion Matsuri Festival. In Kyoto, Gion Festival has started and Summer heat has arrived. Today, we got “Hamo-zushi (sushi with Conger)” from Kyo-ryori Kinobu (Kyoto Cuisine). 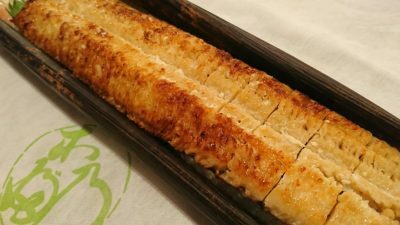 “Hamo (Conger)” used to be a precious “fish” which was available even in summer in Kyoto. 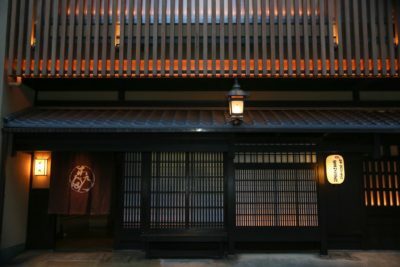 In old days, it was really difficult to get a fresh fish in Kyoto in Summer as it locates far away from the sea. As “Hamo” has so strong vital energy that it could be delivered to Kyoto even alive. We would like to thank Kinobu for their always kind hospitality.